James has been a member of the Cardiff School of Sport in a period spanning 3 decades; first, as an undergraduate student in 1997, before returning as a coach in 2008 and commencing his MA postgraduate studies in 2010. In 2011, he became a member of staff specialising in the practical performance side of the Athletics Module. Between his studies, James has had a highly acclaimed career as a professional 1500m a athlete. With highlights including 4th Place finish at the 2004 World Indoor Championships, a finalist in the European Championships and he has represented Wales in two Commonwealth Games; Melbourne and Delhi. 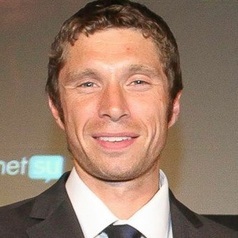 In 2014, James became a multiple World Masters Champion and is still regularly used as a major events and broadcasting commentator for the likes of The International Paralympic Committee and Eurosport. The knowledge gained from his international career, has allowed James to establish an increasingly successful coaching group consisting of both current and alumni students. This group has gained recognition both nationally and internationally.